I met a hero yesterday. 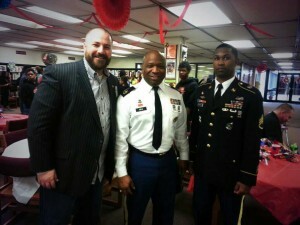 I was fortunate enough to be an honored guest at Walnut Ridge High School’s Veterans Day Celebration where I met a couple of Army recruiters. We talked about our young people and the difficulties they are having recruiting. While these two soldiers are indeed heroes, neither one is my hero of the day. 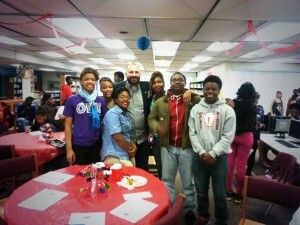 I was also able to meet some awesome young people. They talked about what they wanted to study in college. One young lady wanted to pursue a technical job in the Air Force. One young man was considering enlisting in the Army to fund his dreams of a college education. They were indeed inspirational, but none of them are my hero of the day. After my workday, I went to Red Robin to enjoy a Veterans Day Burger. I met lots of great folks there, including a Korean War Veteran. Meeting those fantastic folks was a pleasure indeed. But still, none of them were my hero of the day. Shortly after I finished my meal, I received some awful news. Lucian was critically injured Sunday when he stepped in front of a truck. He passed away yesterday. Lucian is the little brother of a little girl very close to me. My heart broke for her. At 13, your biggest concerns should be how to win over the boy you like. You shouldn’t be burying your little brother. I finally spoke to that little girl at around 10:30. We talked about the weather, about Lucian’s girlfriend finding out he passed, and about Lucian’s mom. I could tell she was sad, but I never detected a tear. In fact that little girl paused from her sadness to wish me a happy Veterans Day. She ended the conversation telling me she loved me and that her momma needed her comfort. It was at 10:30 that I finally met my hero of the day. It was at 10:30 that my niece showed me she was no longer a little girl, but a young woman.